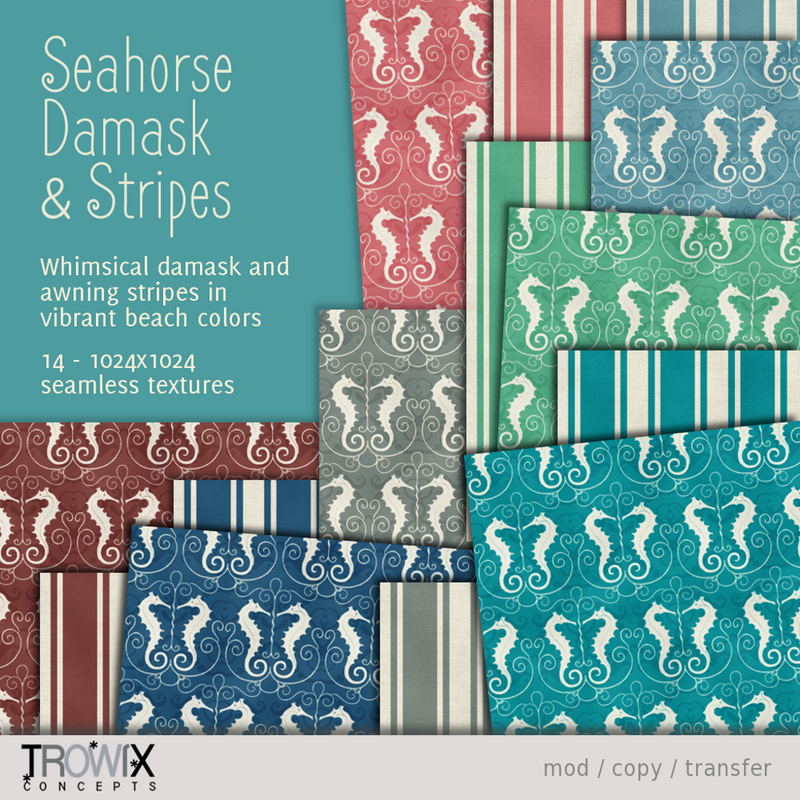 Cute seahorse silhouettes with lots of swirlies paired with bold awning stripes make a fun seaside fabric set for casual or formal settings. 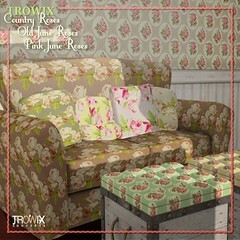 2 patterns in 7 colors each. They coordinate with “Cheap Flannel Shirt Plaids”. …for all your “beachy” places. 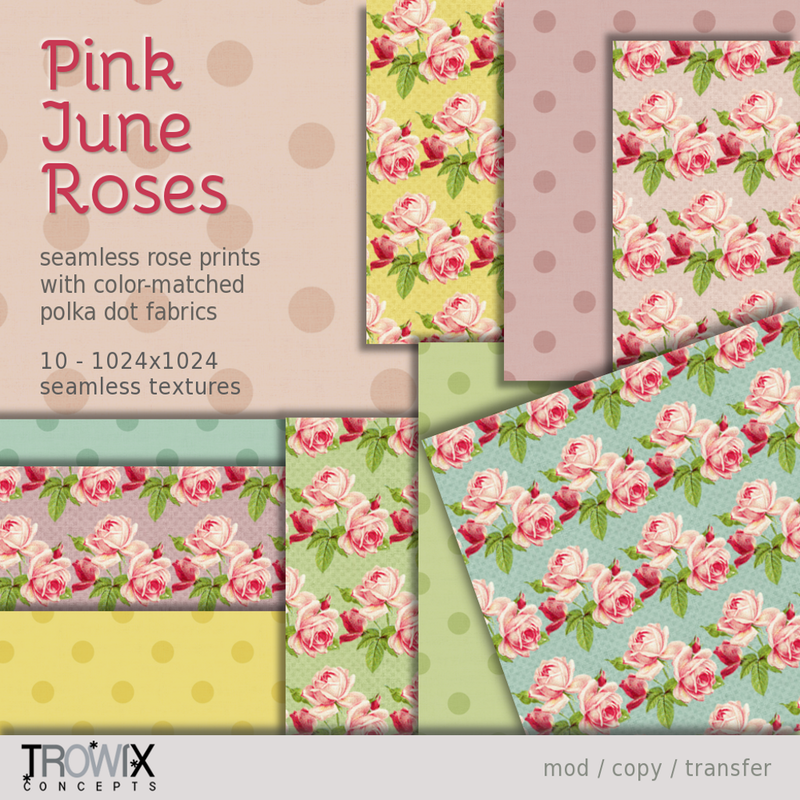 Roses, Roses — so many roses! 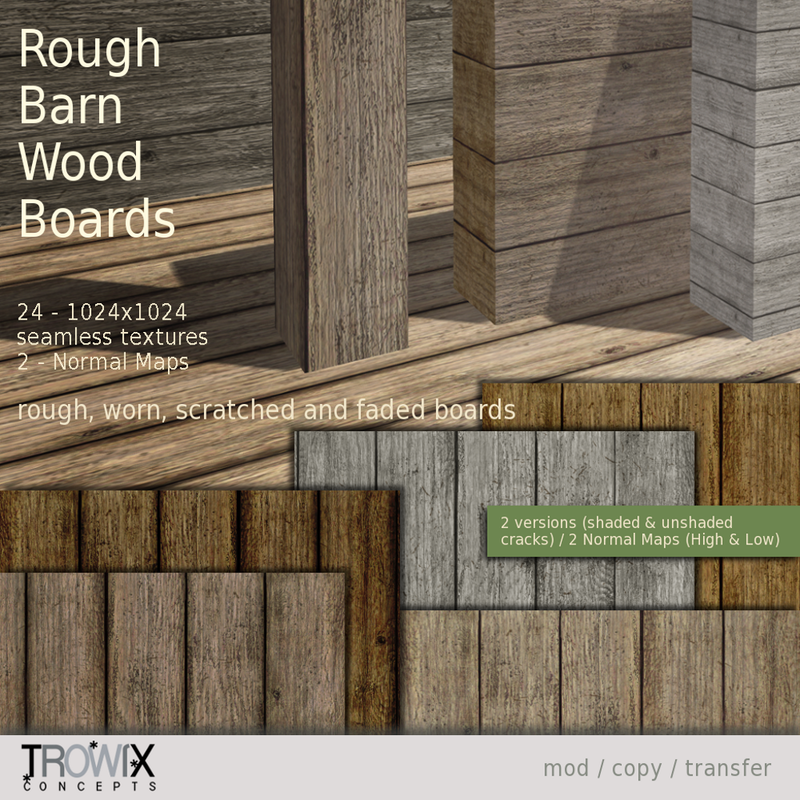 Three brand new texture sets for you! 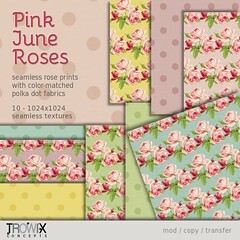 All roses, all seamless, all $L 60! 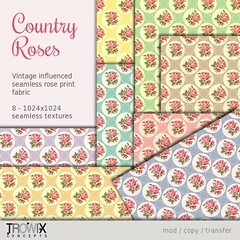 Perfect for that last-blush-of-summer Garden Party or an old-fashioned wedding party or that cool idea you have in your head right now. 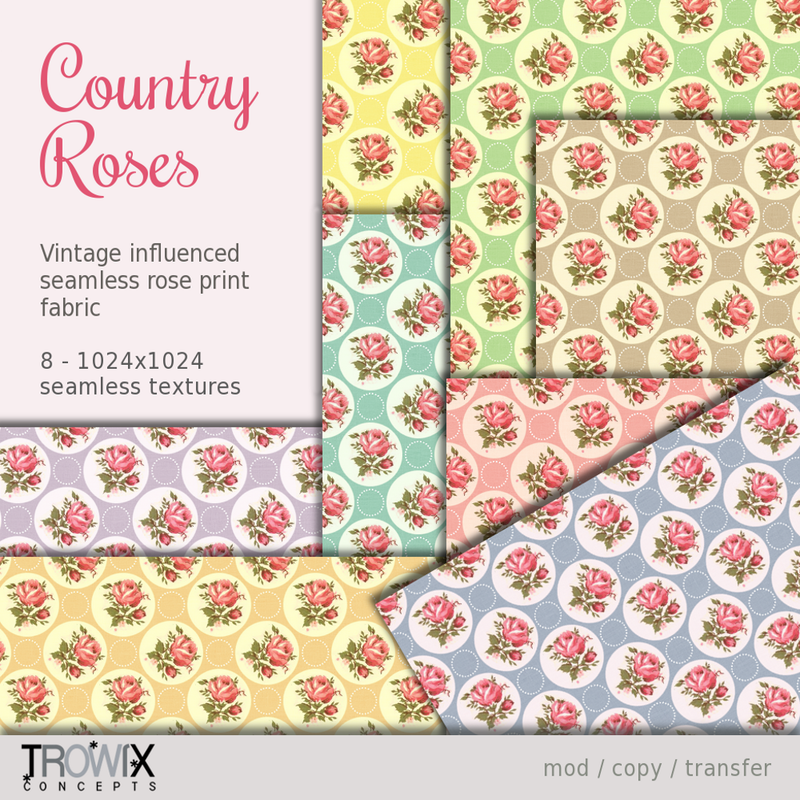 and on SL’s Marketplace, Country Roses (here), Pink June Roses (here) and Old June Roses (here)! 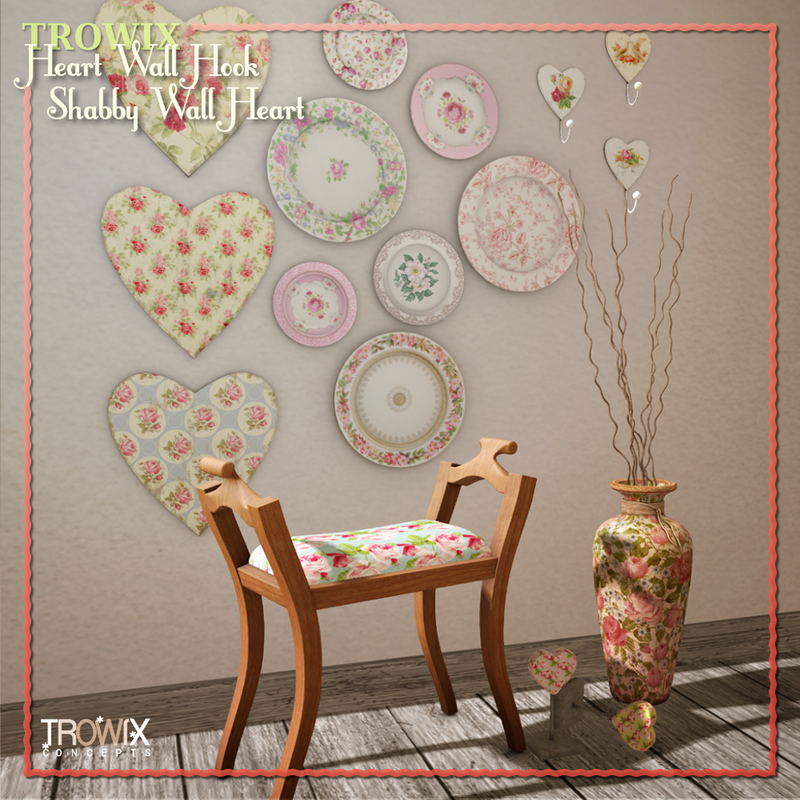 We have just the thing for your casual and outdoor type projects. 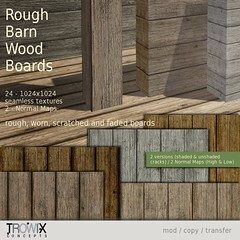 Barn Wood! 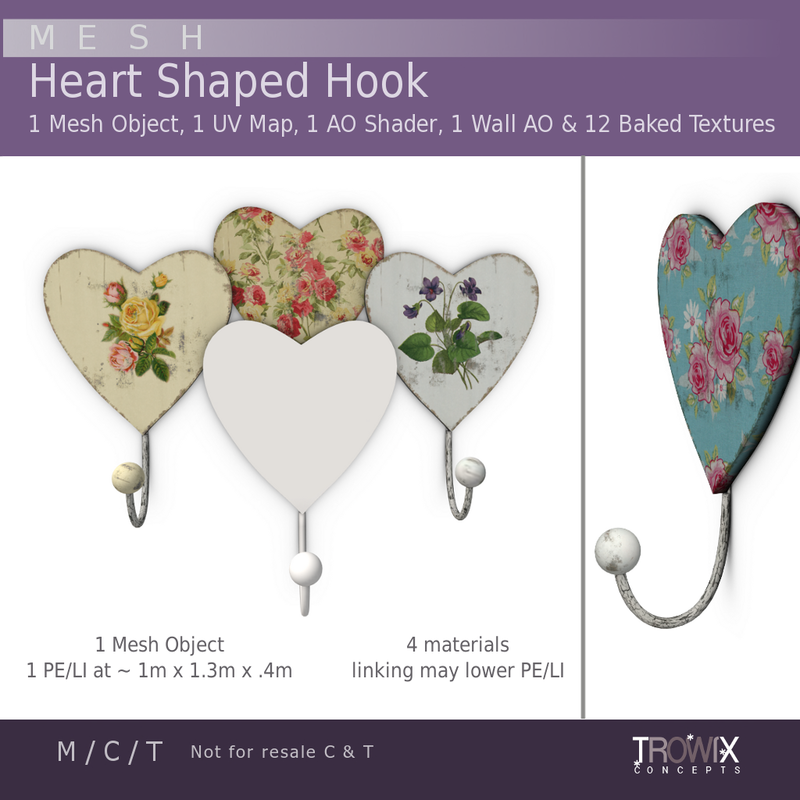 Rough, scratched, knotted, faded, dirty.. it’s all there in 12 colors with Normal Maps included. Advanced lighting is NOT required for these textures, but you do have that option with the Normal Maps. 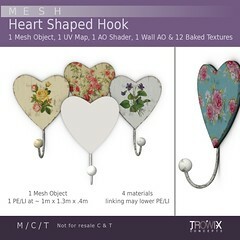 As always, they are available at our in-world store to see and click on. 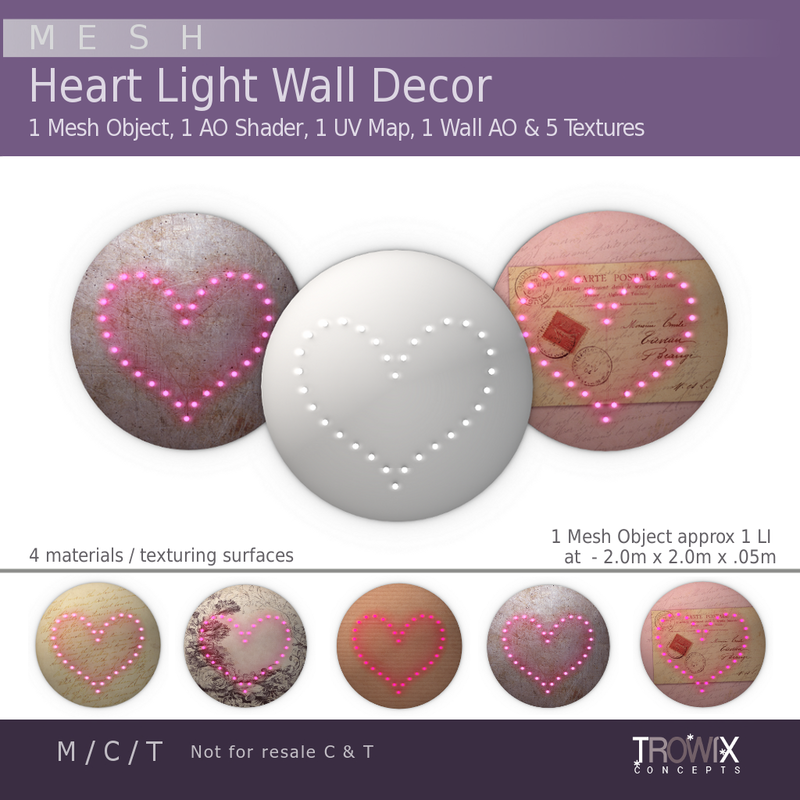 You can also find these on the Second Life Marketplace, here. 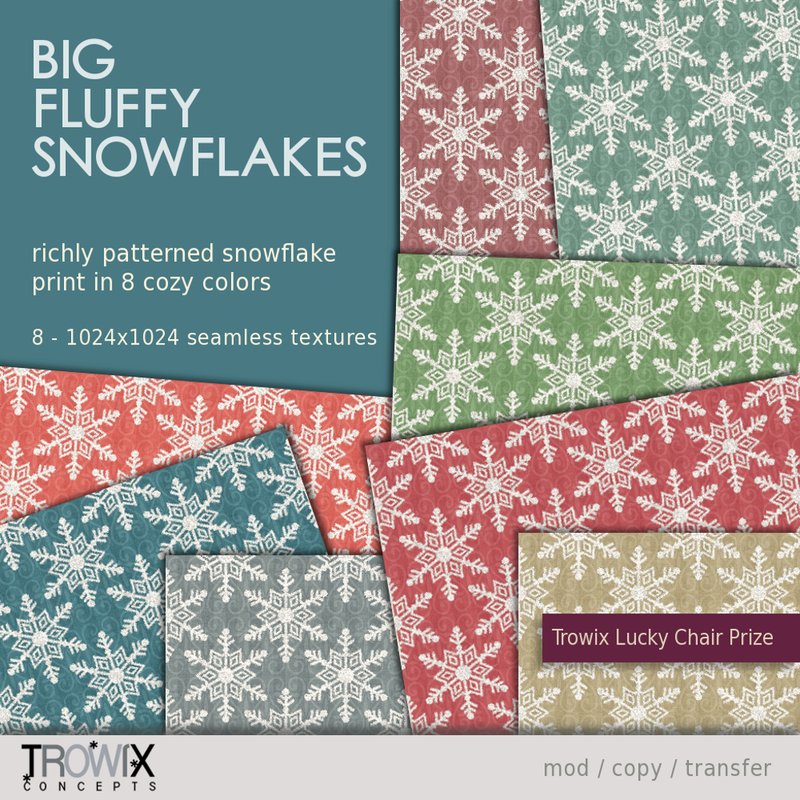 Big Fluffy Snowflakes – Lucky Prize! 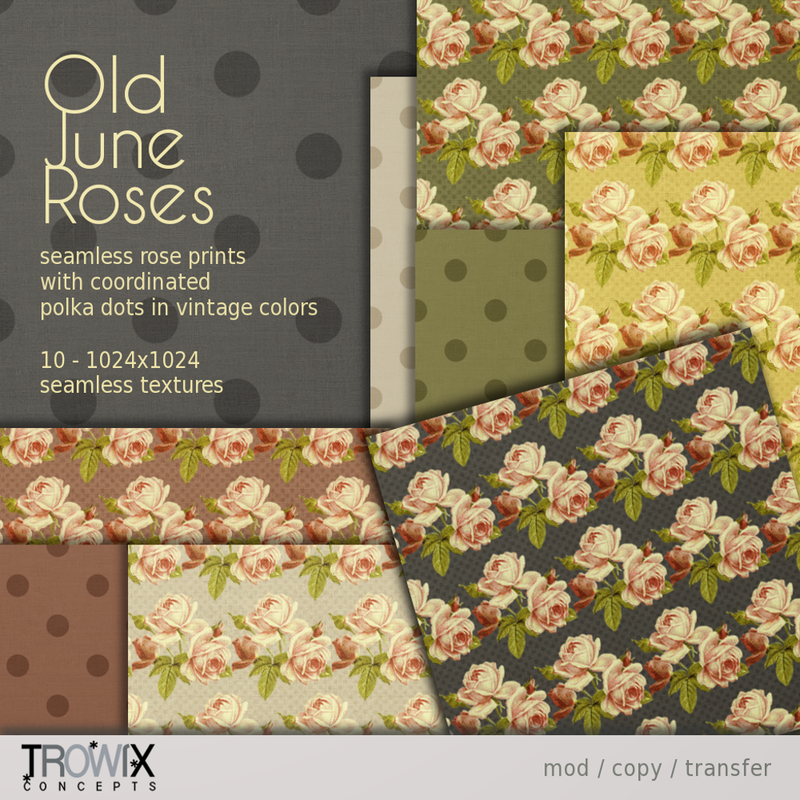 Our newest prize on the Lucky Step Stool is a brand new set of seamless textures! 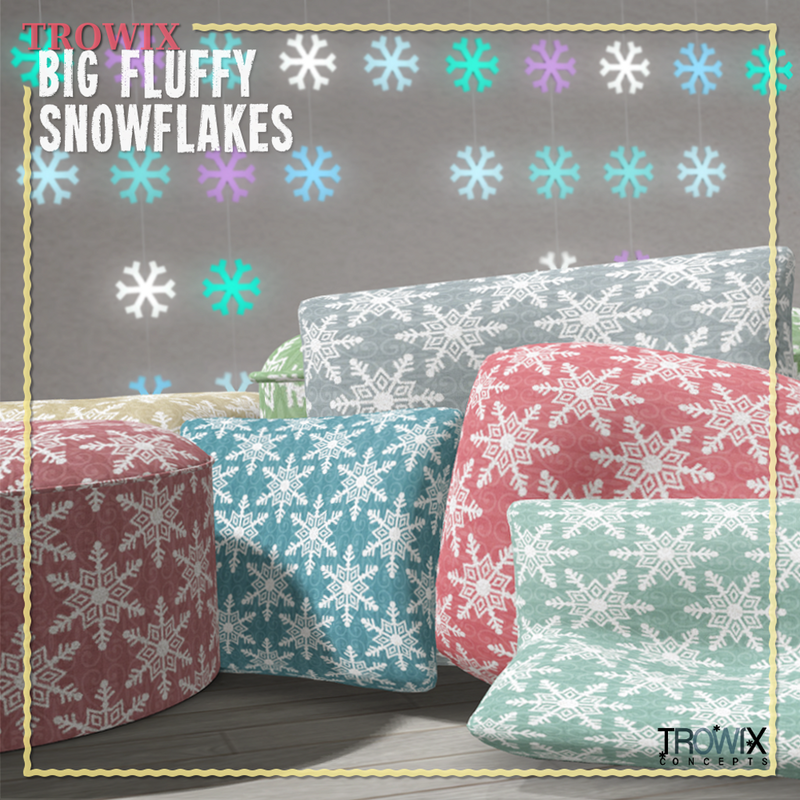 Bold seamless snowflakes on warm muted damask in 8 cozy colors make a wintry texture we hope you will enjoy. 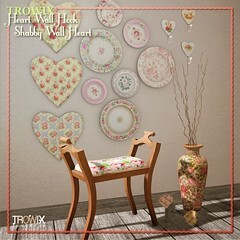 Pretty, free stuff in the back of the store in the Lucky Stepstool Corner of the Trowix Barn. If your initial is called, just sit and it’s yours! 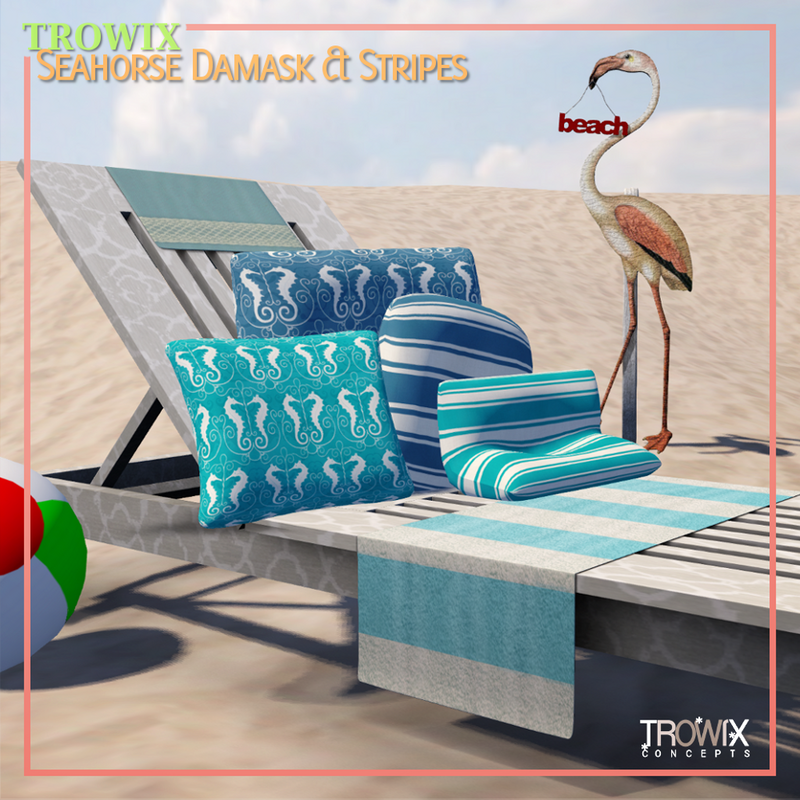 Buy these on Second Life Marketplace, here — if you don’t want to wait. Every princess needs some pink. 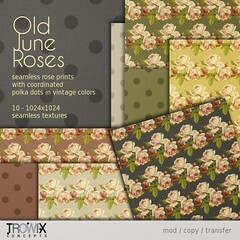 And the classier, the better! 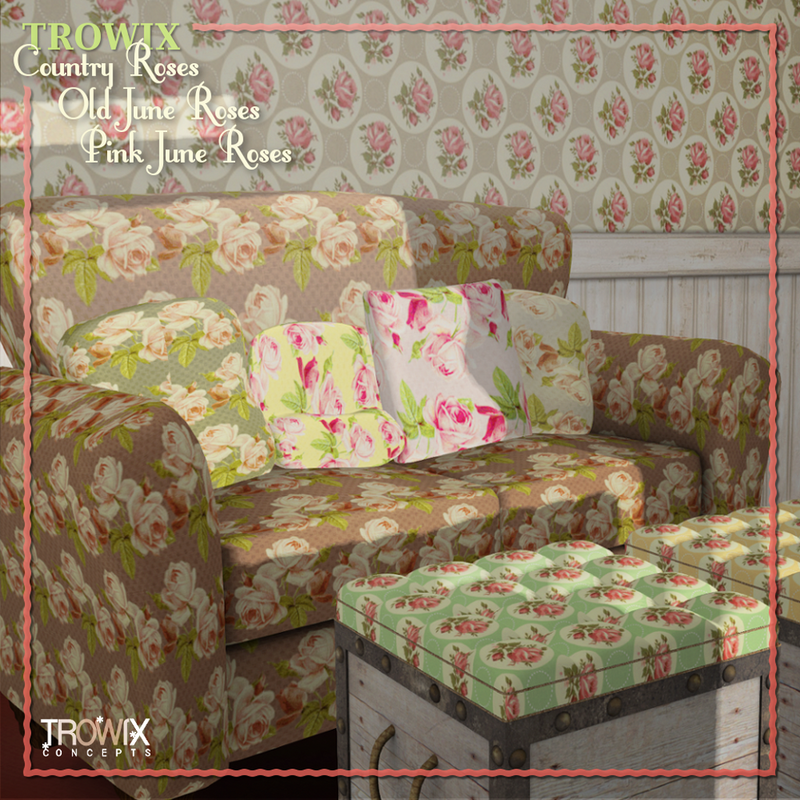 7 seamless damask designs in various shades of pink for your royal project builds. 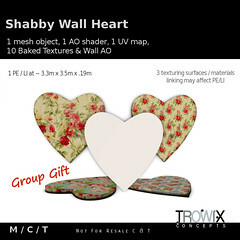 Great for home decor, event and clothing design. Static poses to use for your creative building. 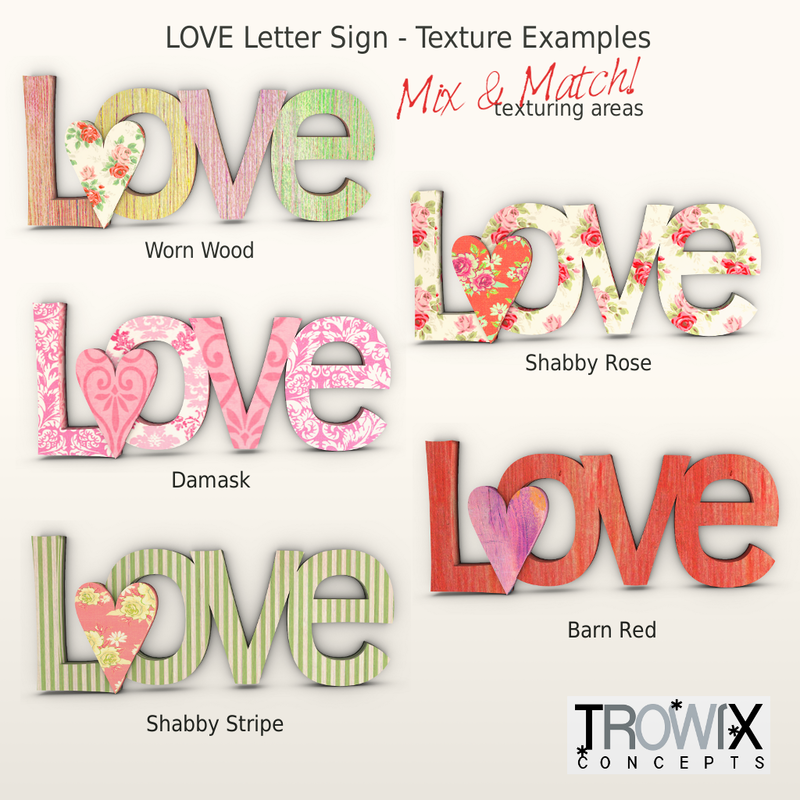 Show off signs, pictures and so much more. Use with any animation system or script to get a live look for your projects. Fits approximately 1.0m x.5m x.2m objects – that’s the size used in the display photo. 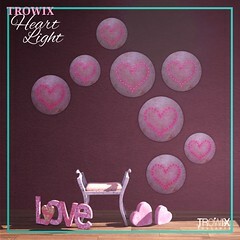 The sign used in the photo is our “LOVE Letters Sign” blogged, here. A love letter with personality! 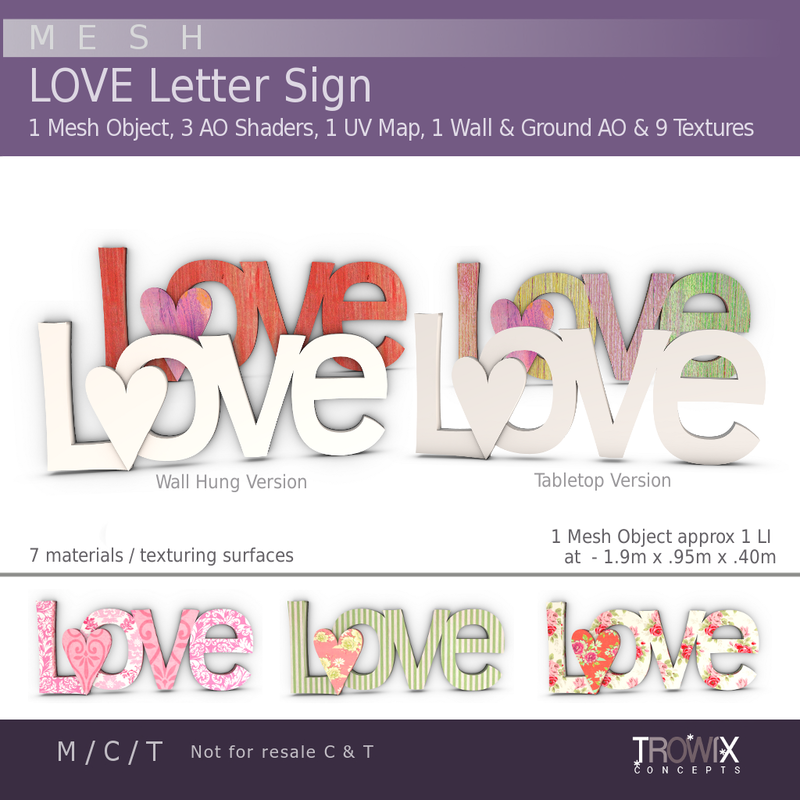 Cute letters and little heart in 3 AO versions – one for Walls, one for Tabletops and one all-purpose. 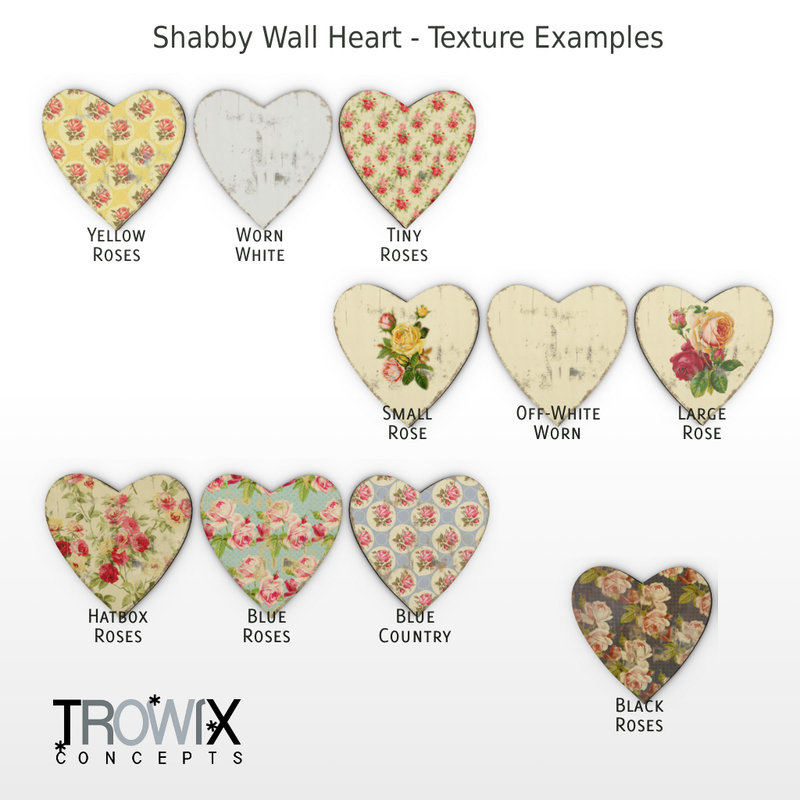 Romantic textures included or use your own in-world or with a photo editing program. 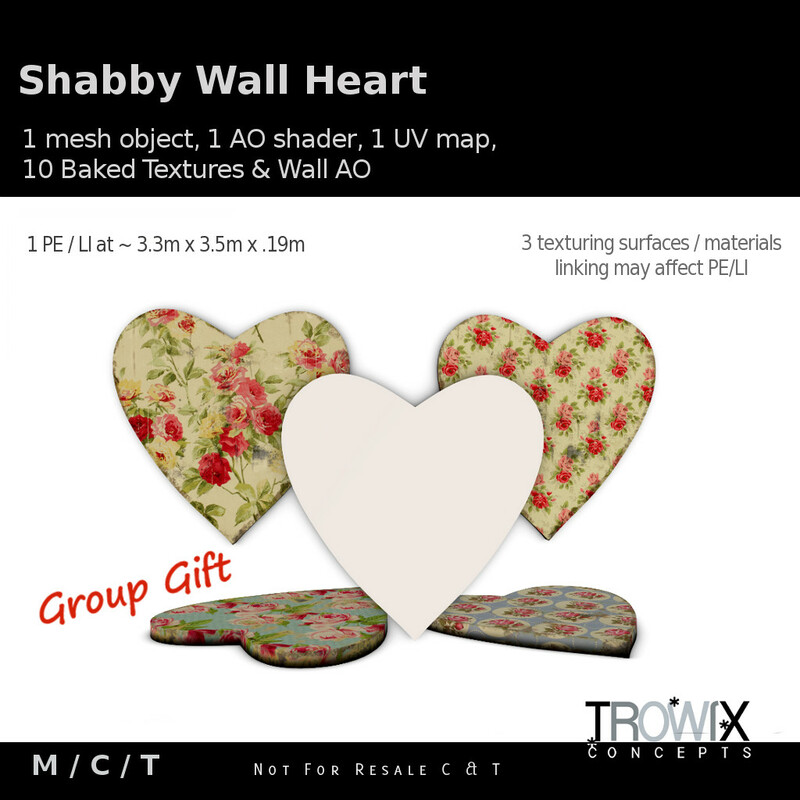 You can mix and match the textures over the 7 texturing surfaces. Be creative! We made some poses that look good with this sign. “Sign Holding Poses” that you can find, here. 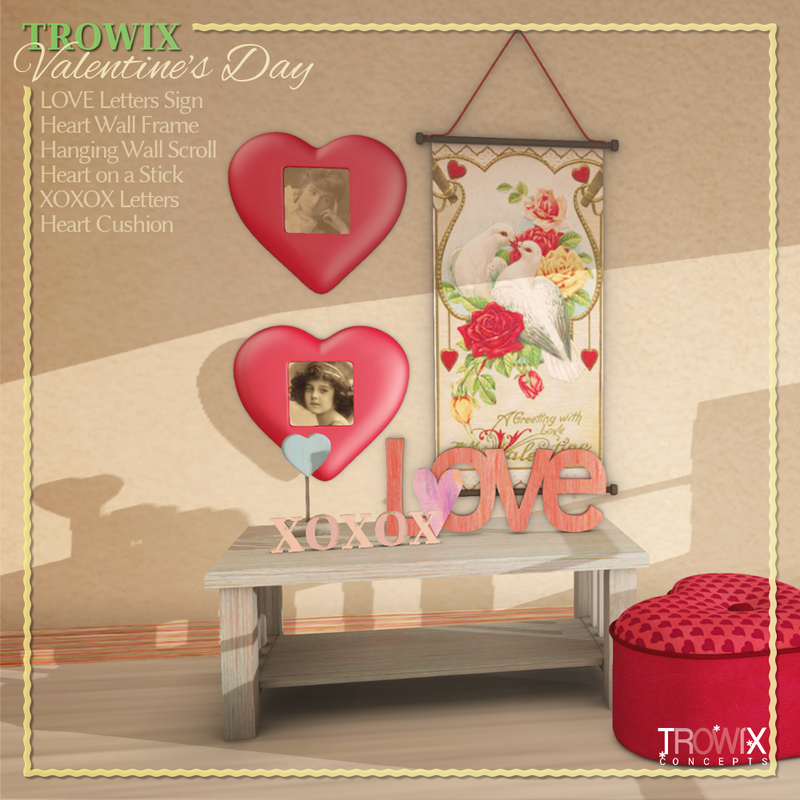 Many Valentine themed goodies at Trowix for your romantic expressions.